The blog will be updated again on August 8th. My good friend Sebastien Durand just forwarded some very exciting Disney comics news this morning. 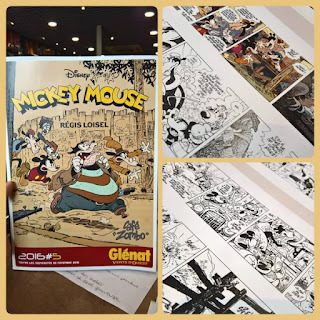 I am particularly looking forward to the graphic novel by Loisel, of course! ‘We are at work on our third feature, Bambi, which deals with the life of a deer. As a setting for this subject, we are contemplating using New England states—specifically Maine—countryside. ‘Could you inform us where we can obtain photographs and colored slides of scenic backgrounds around that part of the country? Perhaps the travel bureaus, or the schools and colleges might have some material of that sort. Recalling that Archer Grover, Deputy Commissioner of the State Department of Inland Fisheries and Game had recently shown us some beautiful color photographs (stills, not movies), we referred the letter to him and perhaps you may read in the papers that the Fish and Game Department not only sent photographs for backgrounds but also shipped two live deer. ‘Bambi,’ a ten-weeks-old fawn, accompanied by another fawn of the same age as a companion, to the Walt Disney Studio. 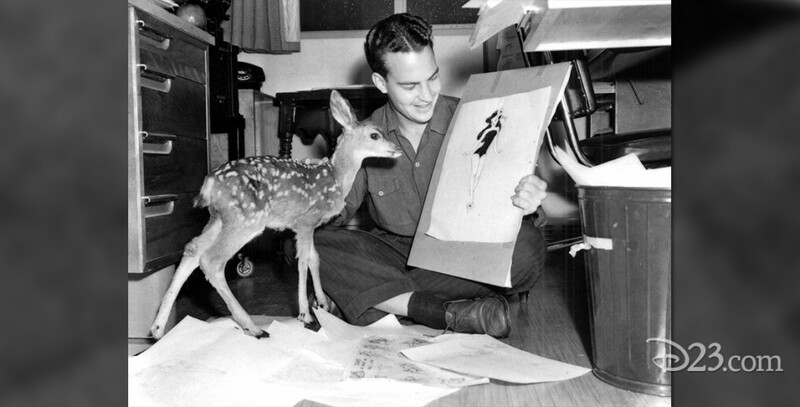 ‘Bambi’ will be used as a model for the leading character in Walt Disney’s next full-length picture. 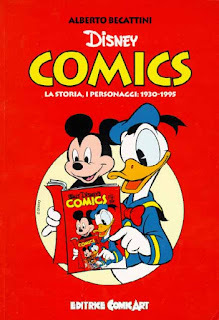 I just heard that Alberto Becattini's seminal book about the history of Disney comics will soon be released in English by Theme Park Press. The book will not contain any illlustrations (for copyright reasons) but it will still be a "must-have" from my standpoint! 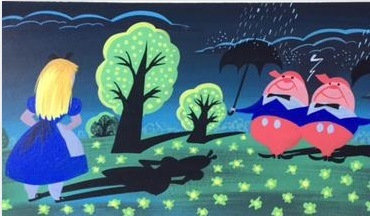 Van Eaton Galleries updated their website this morning and I could not resist sharing this new Mary Blair that they just unearthed and which I hope to include in They Drew As They Pleased - Volume 4. 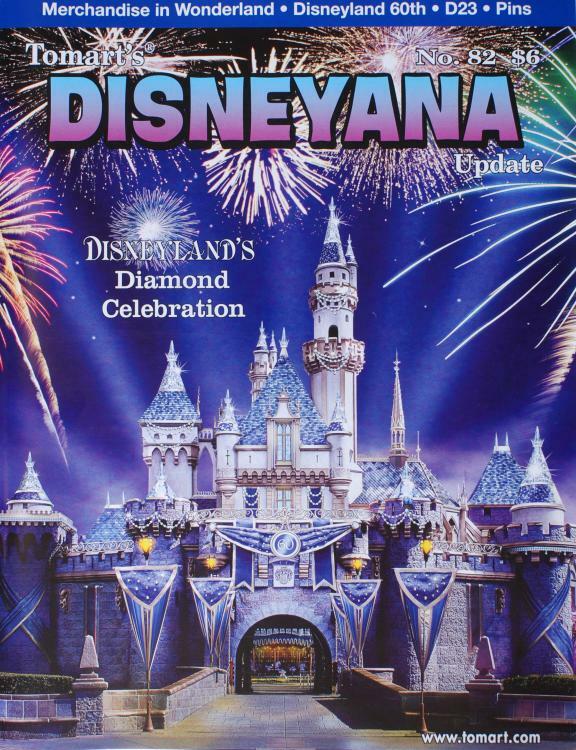 With the recent passing of Tom Tumbush, it is likely that Tomart's Disneyana Update issue 82 will be the last issue of the magazine. I find it to be very sad news, obviously. 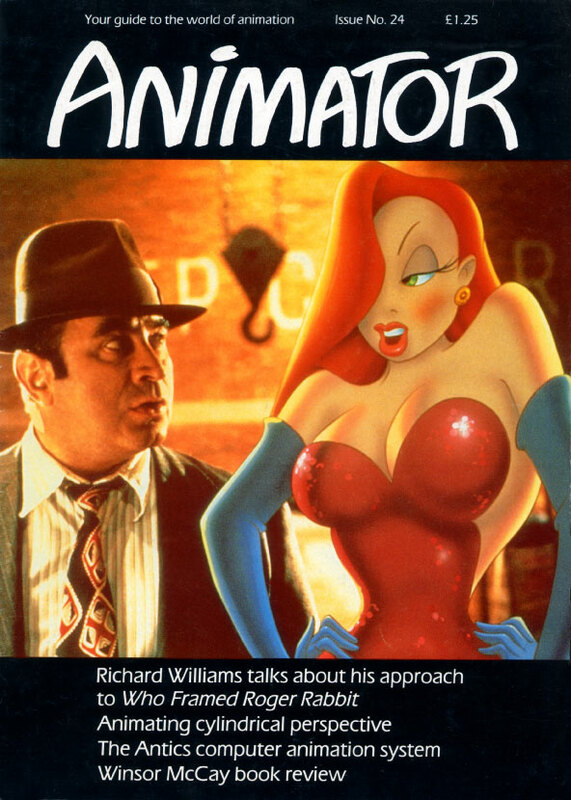 I just realized that the 1980s UK magazine Animator had posted all its archives online. This is a great resource if there is one. 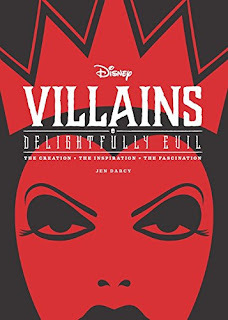 I just received Disney Villains - Delightfully Evil by Jen Darcy. I was hoping that the book might be full of never-seen-before artwork and new information. Unfortunately it is a re-packaging of what most of us have already seen a million times before. Don't get me wrong, this is a very nice product that should sell well. 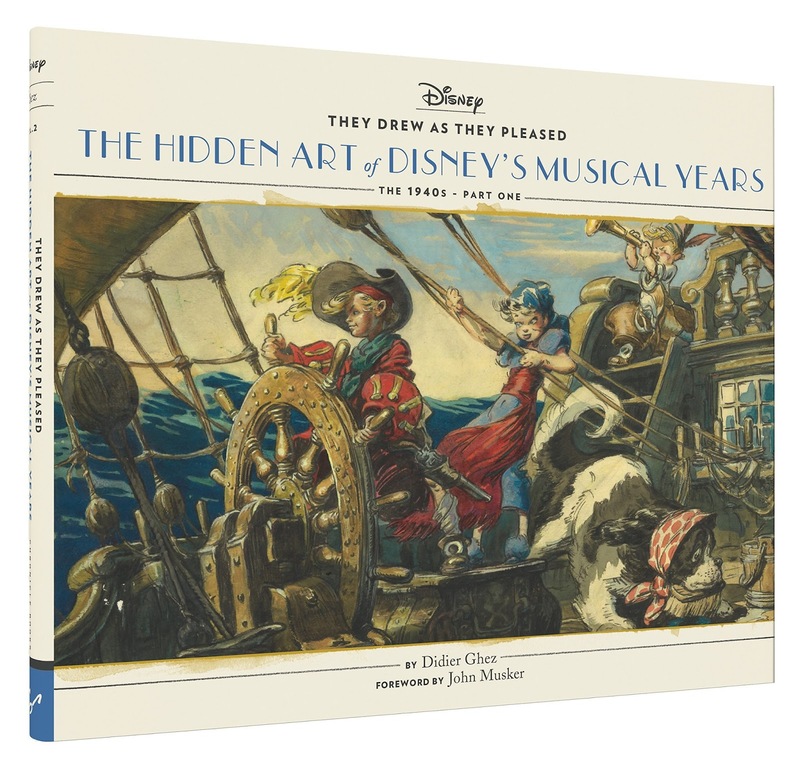 It's a nice gift for families who have kids with an interest in Disney or for collectors with a passing interest in the art of Disney. For Disney historians and true Disney history enthusiasts, however, this book is clearly not a "must have". If you do not already own it and want a great book on the same subject, do not forget to pick up The Disney Villain by Frank Thomas and Ollie Johnston, which remains a classic. 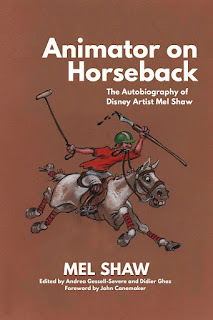 If you have read Mel Shaw's autobiography, Animator on Horseback, B-1st, or the recently released Walt's People - Volume 18, could I please ask you to review them on Amazon? Do you own any original pre-production artwork from "Man in Space" or any other rare documents linked to the Kimball "space and science" projects? If so, could you please email me at didier.ghez@gmail.com? I am trying to gather illustrations and documentation for the chapter about John W. Dunn in They Drew As They Pleased - Volume 4. I learned with great sadness yesterday evening that my good friend (and publisher for many years) Tom Tumbusch, passed away last week. 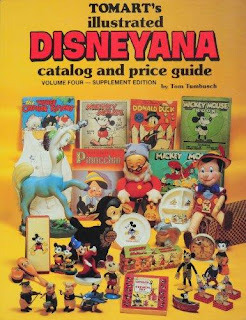 Tom is known in the Disney history community for the tremendous research he conducted about the history of Disney merchandizing, which resullted into 5 seminal books on the subject and a magazine (Tomart's Disneyana Updates) spanning 82 issues. I probably would not have become a Disney historian without the discovery of Tom's books during my first trip to the US in the mid-'80s. Tom will be missed dearly. 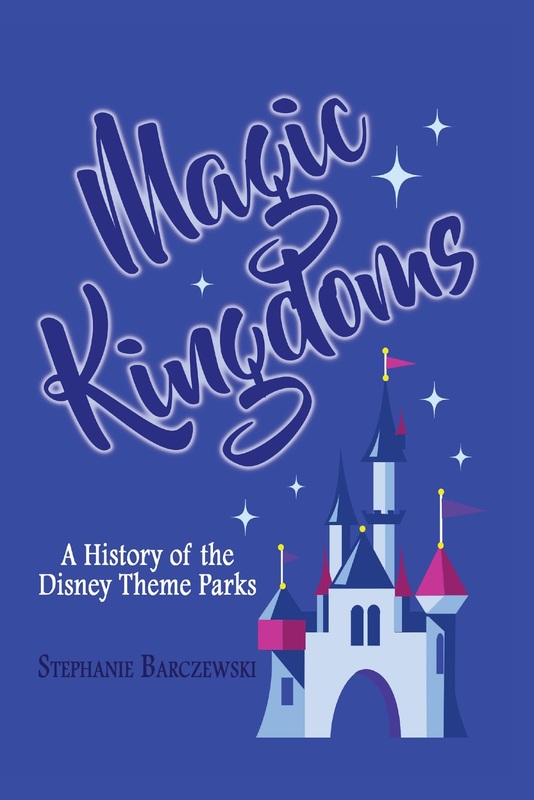 Clemson University professor Stephanie Barczewski delivers a scholarly but accessible comparative history of the Disney theme parks, from Anaheim to Shanghai, with a focus on the engineering, cultural, and political challenges that Disney overcame to build its "happiest places" across the globe. From their genesis in the orange groves of California and the swamplands of Florida to their globalization in Japan, France, Hong Kong, and China, the story of the Disney theme parks is a thrill ride in itself. Barczewski starts her tale in the 1920s, when a young Walt Disney, full of dreams but still shy of success, first envisioned what many years later became Disneyland. 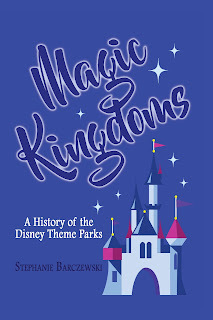 Unlike other books that delve into the details of a single theme park, MAGIC KINGDOMS is a broad narrative about how each Disney park led to the next, and the unique challenges that complicated - and in some cases nearly halted - their creation. 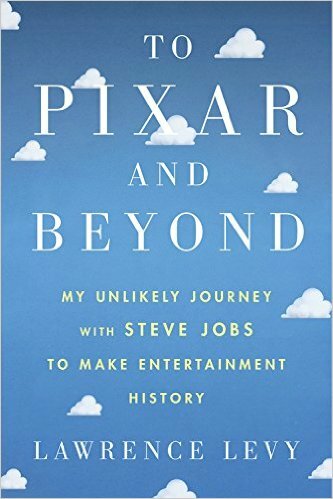 I have hinted at this book a few times before, but it is now finally available on pre-order on Amazon. 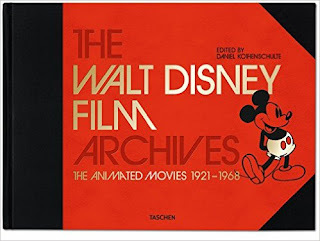 The Walt Disney Film Archives: The Animated Movies 1921-1968 is a phenomenal undertaking. 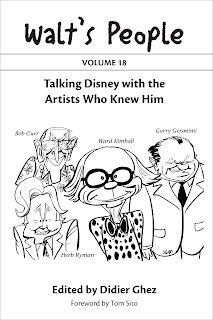 It's a huge book (624 pages) and some of the best Disney historians have been asked to write chapters for it, including Leonard Maltin, Charles Solomon, J.B. Kaufman, Mindy Johnson and yours truly. 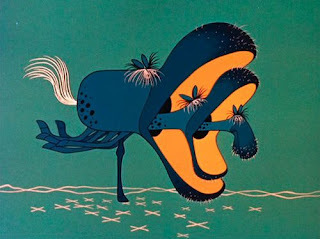 I had the pleasure of writing the chapter about the making of The Reluctant Dragon. This was no easy task, but I believe that you will discover a lot of information by reading the chapter. I stumbled upon quite a few new facts while researching it. And as always I tried to quote from sources that are not easily available. The other thing that is exciting about the book is that it will contain a huge amount of never-released-before artwork. The only chapter whose pages I have seen to date is the one about The Reluctant Dragon, but from all of the information that I was able to gather from people who worked on the project the visual content of most of the other chapters will be as exciting as the text itself. Did I already mention that I can't wait!? 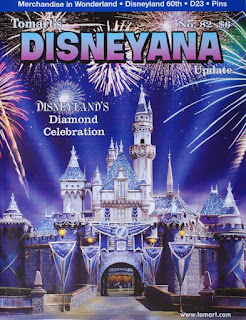 Excellent news to start the weekend: Walt's People - Volume 18 has just been released! Believe me if I tell you that there is fascinating information and stories in this volume, once again. Can't wait to get a peak inside They Drew As They Pleased - The Hidden Art of Disney's Musical Years? You can now see of few of the pages inside the book by going to Google Books. 1. You already know about the next volume of Walt's People (Volume 18) which will be released in just a few days. 2. And you have heard about They Drew As They Pleased - The Hidden Art of Disney's Musical Years which is scheduled for release on August 30, 2016. 3. 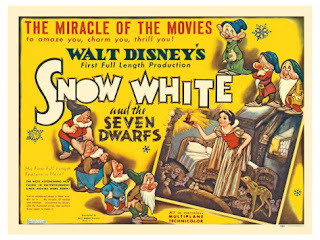 I am currently helping David Johnson with the editing of two books similar to Walt's People which will collect the fascinating interviews he conducted about the making of Snow White and the Seven Dwarfs. The first one of those should be released in August or September. The second one at some point in 2017. 4. September this year should also see the release of Ross Care's excellent book about director Wilfred Jackson, complete with Ross Care's letters from Wilfred Jackson and Jackson's recently uncovered diary. 5. As for next year, aside from Walt's People - Volume 19 and the second volume of David Johnson's interviews, I am hoping to get some recently uncovered material from Leo Salkin (a short autobiography, a diary, etc.) in shape for publication. 6. Along with Paula Sigman-Lowery, Jim Hollifield, and Todd Pierce I am also trying to edit all the interviews that Paul F. Anderson conducted with Ken Anderson in order to release them in book form during 2017. 7. And finally, there is They Drew As They Pleased - The Hidden Art of Disney's Character Model Department, whose manuscript is now complete and which should see the light of day in September next year. 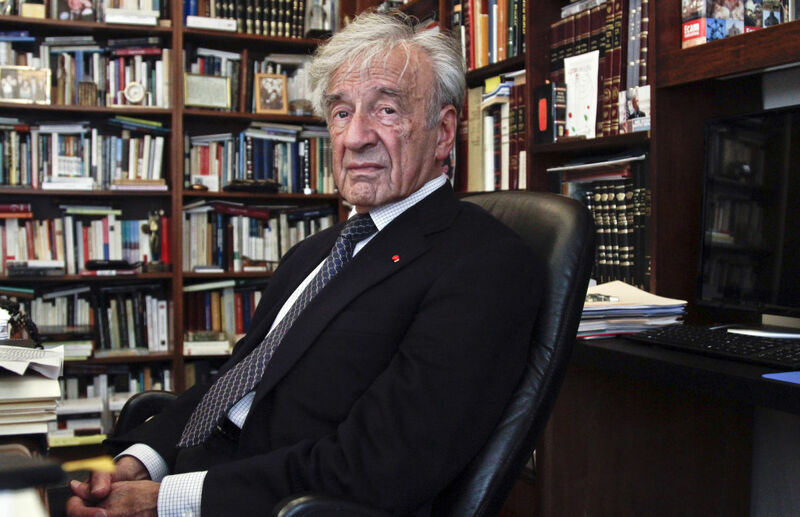 Nobel Prize-winning author and Holocaust survivor Elie Wiesel died on Saturday, just five days after an article, “Elie Wiesel Visits Disneyland,” appeared on the website of Tablet magazine. 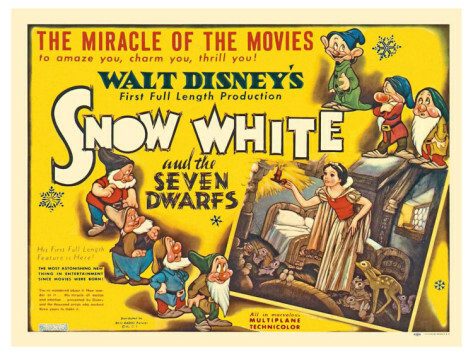 The article, by Menachem Butler, quotes extensively from a story about Walt Disney and the original Magic Kingdom written and published by Wiesel almost exactly sixty years ago. 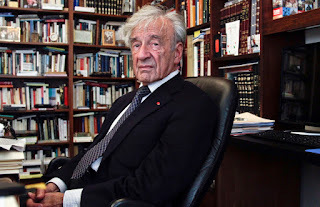 Neither then, nor later in life (so far as I know), did Wiesel ever suspect, much less accuse, Walt Disney of being anti-Semitic. That alone should put that toxic canard permanently to rest. It won’t, of course. In the lengthy comments section following a post by Amid Amidi in 2011 on the Cartoon Brew website, some of the more ignorant participants in the “conversation” couldn’t even spell “anti-Semitic” correctly. I found this in an index of the Santa Clarita Valley, north of LA, Containing info on the founding of Cal-Arts from 1965-66! 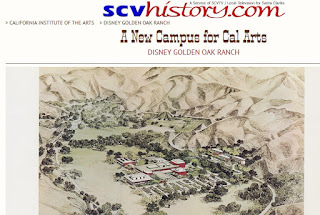 There is a gallery showing the 16 pages of the original brochure and at least on pic of Walt, sitting with Edith Head(late costume designer) and others of interest!